There are a lot of things that affect your landscaping, and good lighting is a part of that. With so many different lighting options to choose from, you’ll want to pick the lighting that really works for you and your design plans. 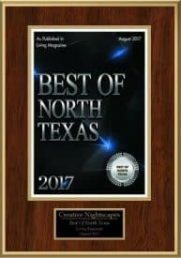 That’s why you want to hire professionals to create the landscape lighting effects you want to see, so you can have a beautiful looking yard for a long time to come. With the right lighting, you’ll not only have a landscape you love, but you’ll also have a place you can enjoy and a location where you can see and be safe when it’s dark outside. One of the benefits of good landscape lighting is that it can help you be safer in your yard and house at night. Not only does it help to deter theft and other crimes, but it also reduces the chances that you’ll fall or otherwise get hurt outside when it’s dark. If you have children or pets it helps keep them safer as well and can help you keep an eye on them if they want or need to be outside in the evening or during the night. Not only does good landscape lighting make things safer, but it can also help your yard be beautiful. When you have the right lighting options in your yard, they are hidden during the day and show up at night when they’re needed. That way your yard continues to look good, and you’ll be able to mow, trim bushes, and do all of the other things in your yard maintenance plan without worrying about the lighting being in the way. Good placement is highly important and can make a big difference in both the daylight and after nightfall. Good lighting also improves your landscaping by helping you reduce your energy costs. You’ll pay less for the lighting you have if you buy the right lights and the proper types of bulbs. 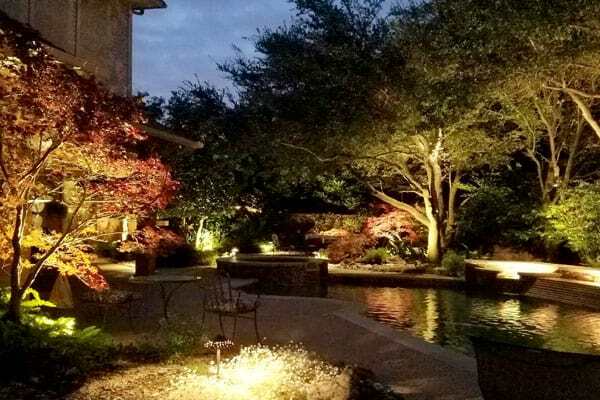 When you have a quality landscaping lighting company working on your outdoor lighting, you have a much higher chance of getting everything placed just right and a lower cost of ownership that can help you use that money for other things. You can add to your landscape lighting, plant more flowers, or do anything you like with your energy savings. Make sure you don’t ignore lighting when you’re planning out your landscaping. Whether you want to add to the existing things you already have or you’re starting over completely from scratch, the most important thing is to be sure that placement is correct and that all the wires and other needed items are hidden and protected. That way you can enjoy your landscape and its lighting for a long time to come, and you won’t have to worry about making a lot of changes or doing a lot of maintenance. You can just enjoy.